The past year blessed me with countless smiles, priceless stories, and incredible memories. Whether shared within a reading, amongst friends and amazing clients, or with new customers. We want to thank you for having had them here and trusting in me! Without you all we would certainly not tell the same story. Without you there would be no reason for turning on the lights every morning. So THANK YOU to everyone who took the time to come and see me and helped make Alexis’ Psychic Boutique the success that it is today. We truly have appreciated all the laughter we hear, smiles that we see, and the magical moments we’ve had the pleasure of witnessing. You’ve all played a major part in helping build the success of the spiritual and magical place that Alexis’ Psychic Boutique has become. 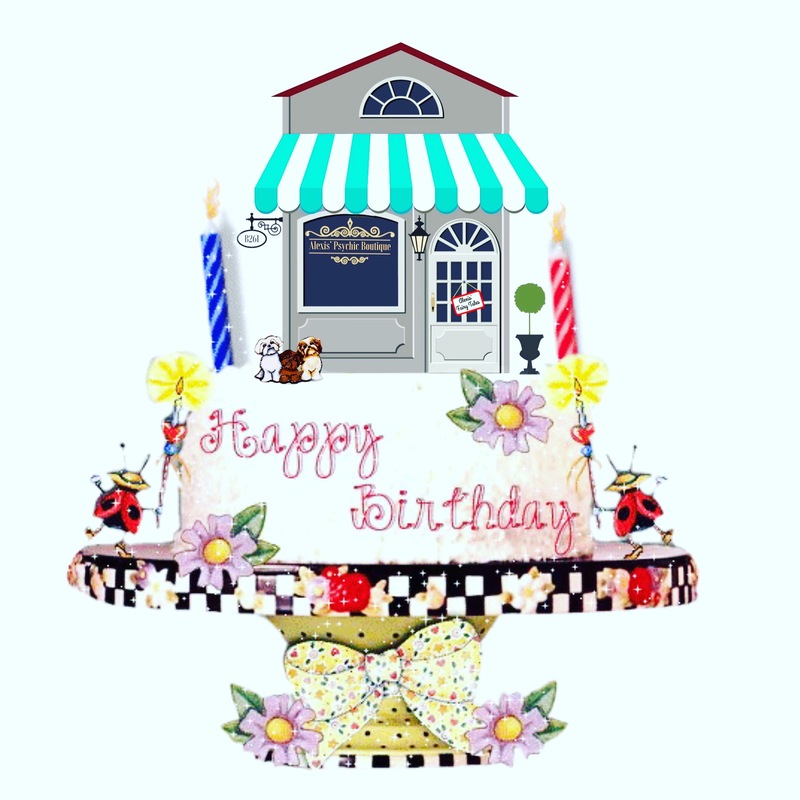 Happy 1st Birthday, Alexis’ Psychic Boutique!! Very special Thanks to . My husband Enrique Reyes and family for believing in me and being my Rock . My best friend Kirsten Kelly for helping us Bring this Place to life. For Gigi de Troyban , if it was not for this woman there wouldn’t be a Alexis’ Psychic Boutique. I am forever grateful. To the most amazing staff, and to everyone that helped me! Without you guys I would be lost, thank you for putting up with my crazy ways.